After trying several other chains this style seems to pale in comparison. 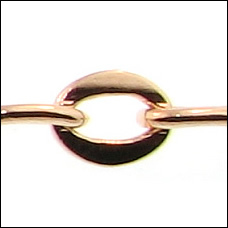 The several chains I've ordered have been excellent quality and finish but this one has a poor finish. There is an overage of plating in some areas, yet good in others. It has a cheaper look and does not imitate the look of real gold like the other styles in the same finish. The design and weight are great, just disappointed in the plating.